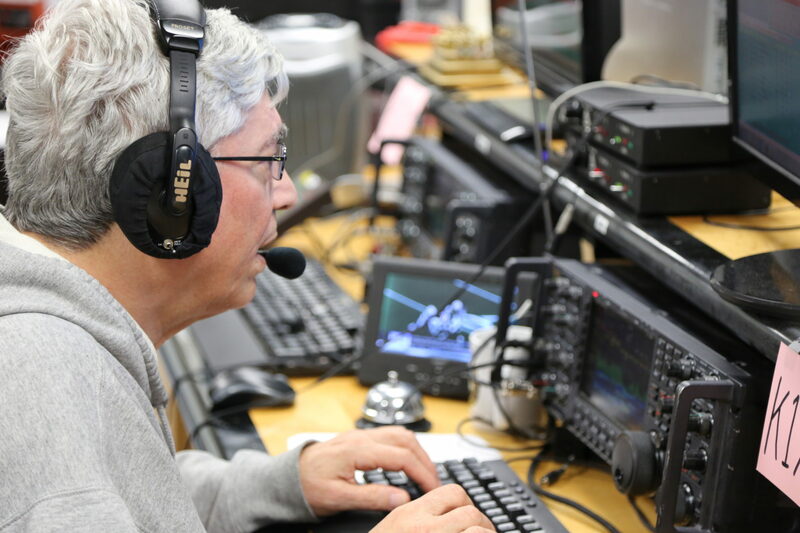 Contest Fred: Operating at K1LZ, multi-operator/two-transmitter. Notes: The football game on the TV is obviously a New England Patriots game. The bell is rung when we work a new multiplier.